Hebron, CT -- The Podunk Bluegrass Music Festival has announced the three finalists for this year’s songwriting competition as part of their 19th Annual festival. They have been invited to perform their song on the Main Stage at the festival on Saturday, August 8th. This year’s competition received entries from as far away as Norway and nine different states including Arizona, California, Ohio, Virginia, Indiana and four New England States. Telefunken Elektroakustik of South Windsor, Connecticut, recently sponsored two important and historic music festivals in their home state. The Litchfield Jazz Festival, a favorite of the public and critics alike has been going for the past 19 years and the Podunk Bluegrass Festival has been a yearly success since 1996. Connecticut's Podunk Bluegrass Music Festival will celebrate its 18th year with one of its most outstanding line-ups to date. The festival will run from Thursday, August 7th through Saturday, August 9th. The initial lineup is outstanding and more acts are being booked. February 24, 2012 (Norwich, CT)—Podunk President, Mike Wilcox has announced that The Podunk Bluegrass Music Festival will be held at Dodd Stadium in Norwich, CT, August 2-5, 2012. There is a buzz of excitement surrounding the decision to move the International Bluegrass Music Association's 2010 Event of the Year to a new location. 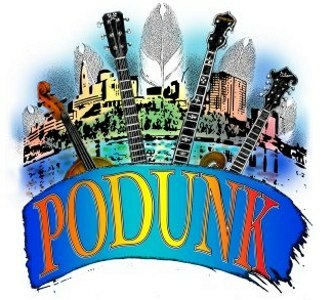 Festival board members involved in the production of Podunk assures patrons that the tradition of invariable quality and a first class festival experience will continue in Norwich.